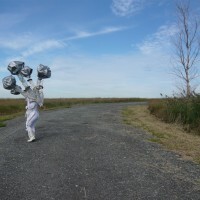 I Am Within/I Am Without was a temporary performance and installation at Freshkills Park in September-October 2011 by artist DB Lampman. 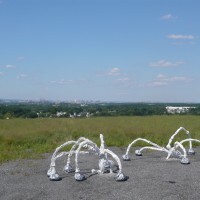 I Am Within consisted of three large scale human figurative sculptures atop the northern landfill mound, the capping and closure of which was completed by the New York City Department in Sanitation in 1996. 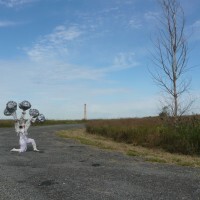 The figures, made of metal, plastic, and fabrics, have multiple limbs extending from their arms and heads that rise upwards toward the sky and then bend back down toward the earth. The metal was left untreated so it rusted and bled through the fabric, changing its color as part of a natural process of deterioration during the period that it was installed at the park. 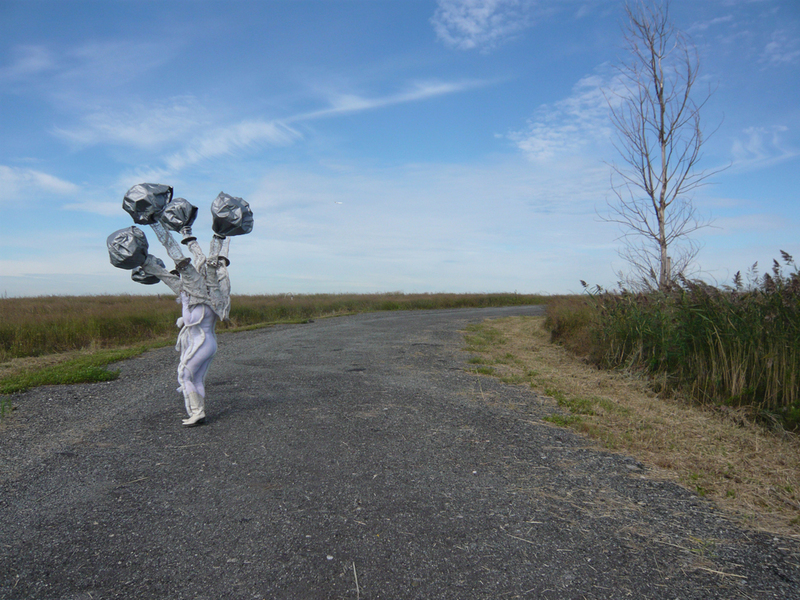 During the performance event on September 17, the artist wore a giant, unwieldy headdress that mimicked the shape of the sculptures. 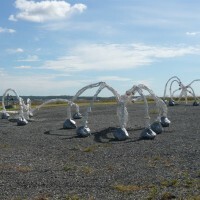 Unlike the sculptures, the heavy arms did not tether her to the ground. Instead, they rose upwards, suggesting balloons, as if at any moment she would float away into the sky. However, the harness was noticeably very heavy and hard to carry, so any hope of flight was diminished. 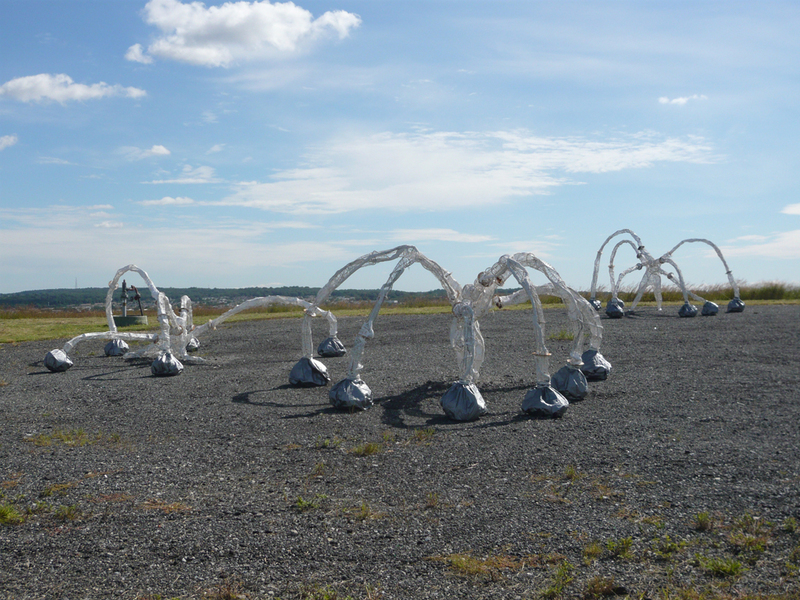 Instead, she moved among the sculptures imitating their movements, eventually shedding the heavy weight and walking away leaving it as an empty shell next to the sculptures. 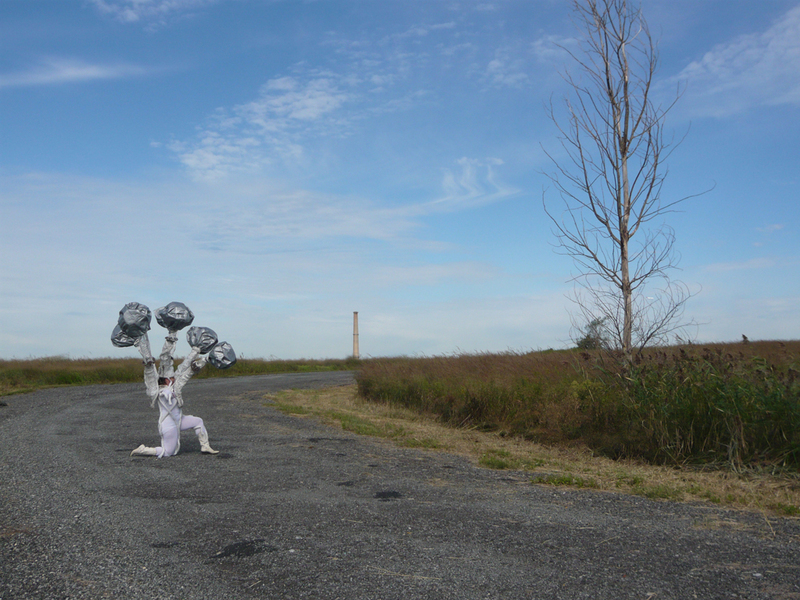 DB Lampman's "I Am Within/I Am Without" at Freshkills Park. 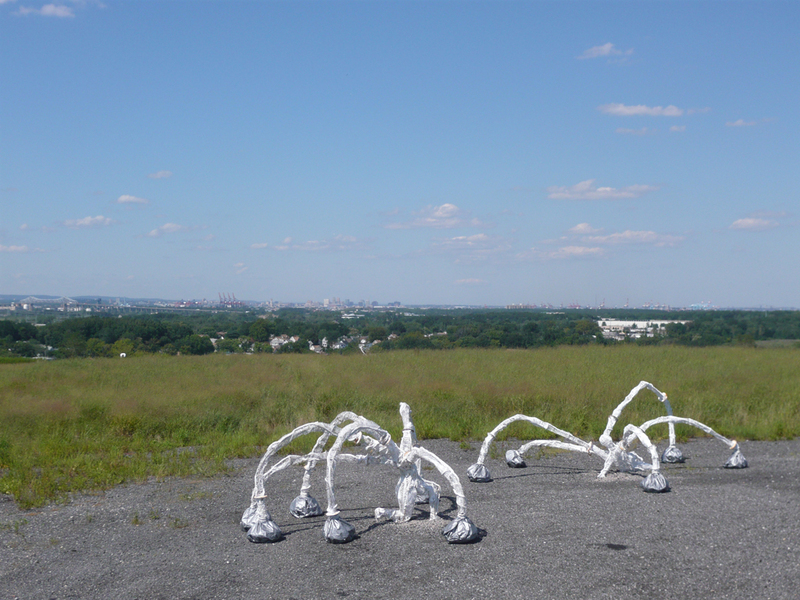 I Am Within was supported by an Art Fund Grant from the New York City Department of Cultural Affairs and Staten Island Arts. This project was also supported by New York Custm Fabricators, Inc., and was presented with the cooperation of the New York City Department of Parks and Recreation and the New York City Department of Sanitation.